The Quantum of Explanation advances a bold new theory of how explanation ought to be understood in philosophical and cosmological inquiries. Using a complete interpretation of Alfred North Whitehead’s philosophical and mathematical writings and an interpretive structure that is essentially new, Auxier and Herstein argue that Whitehead has never been properly understood, nor has the depth and breadth of his contribution to the human search for knowledge been assimilated by his successors. This important book effectively applies Whitehead’s philosophy to problems in the interpretation of science, empirical knowledge, and nature. It develops a new account of philosophical naturalism that will contribute to the current naturalism debate in both Analytic and Continental philosophy. Auxier and Herstein also draw attention to some of the most important differences between the process theology tradition and Whitehead’s thought, arguing in favor of a Whiteheadian naturalism that is more or less independent of theological concerns. 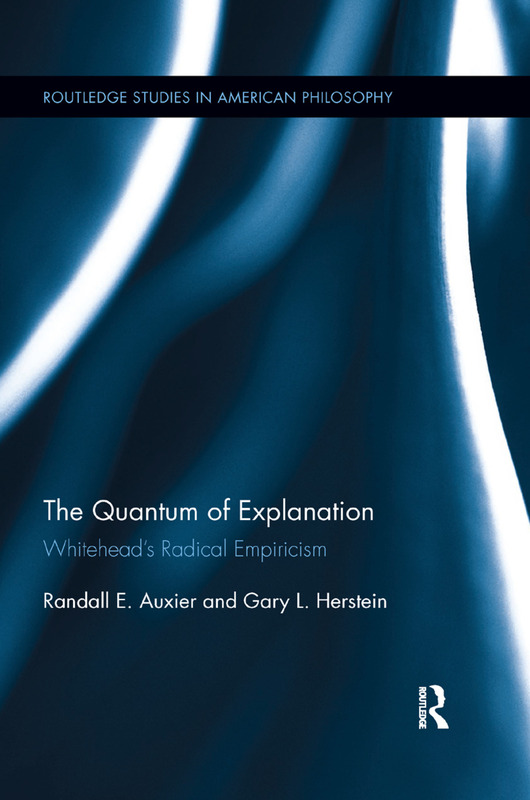 This book offers a clear and comprehensive introduction to Whitehead’s philosophy and is an essential resource for students and scholars interested in American philosophy, the philosophy of mathematics and physics, and issues associated with naturalism, explanation and radical empiricism. 11. Synoptic Pluralism and the Problem of Whiteheadian "Theology"
Randall E. Auxier is Professor of Philosophy at Southern Illinois University, Carbondale. He is the author of Time, Will and Purpose: Living Ideas from the Philosophy of Josiah Royce. Gary L. Herstein is an independent scholar with research interests in the philosophy of science, logic, and American philosophy. He is the author of Whitehead and the Measurement Problem of Cosmology.